The past week’s business trip to the United States was brutal. Some helpful wag calculated that of the total trip time, 29.4% of it was spent in transit to/from the US. The formula, for those of you looking for it, was (60 hrs / (60+(6*24))). I’ll share a little bit about the trip over the next few posts, starting with some information about the flights themselves. 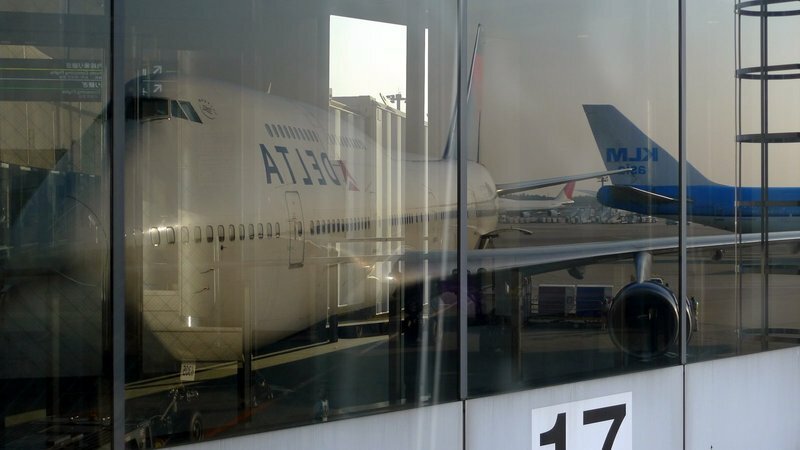 Above, a reflection of a Delta 747 at Tokyo’s Narita Airport. My trip was on Delta Airlines, which offered the cheapest economy class prices by far for the dates I needed to travel. While my company’s policy is business class on flights over 8 hours, I did not qualify for this as technically my agreement with the company is that they will not pay to fly me to the US for meetings at all, since I chose to relocate outside the country. That’s okay – I appreciate simply having a job! I worked very hard to avoid being routed on one of the planes shown above because the economy class experience on them is very out-of-date. (This holds true for United Airlines’ 747, too.) Instead, I routed myself through Seattle so I would be able to fly on the more up-to-date A330, which features power ports in the front half of economy class and individual seat-back screens and on-demand audio and video throughout the cabin. My experience on Delta was mixed. The hard product itself – seats, food, entertainment, etc. – was fine although not amazing. For the Bangkok to Tokyo and Tokyo to Seattle segments I was able to get an aisle seat in the front half of the economy cabin, so had about an extra inch of leg room and access to the power ports so I could work on my computer without draining the battery. Additionally, I had an empty seat next to me on both flights. The seats are actually pretty comfortable and the adjustable headrest does a decent job of cradling your head if you try to doze. 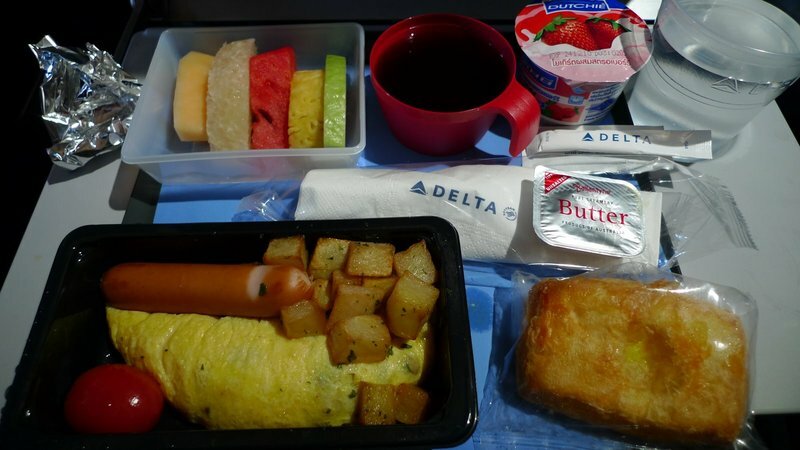 Breakfast out of Bangkok – omelet, potatoes, and sausage with fruit and yogurt. Pre-landing snack – chicken and cheese croissant – before arriving in Tokyo. On the flight out of Bangkok (6 hours), I traveled with one of the three guests from Kansas City who had been in town the previous two weeks. Since he slept most of the flight, it was okay that we were a few rows apart. While in Tokyo we had a few hours transit time so we ate some ramen at an okay snack shop. The Narita Airport has nice facilities but the food selection within the secure area of the terminal is only okay. There are better restaurants in the public area of the main terminal. 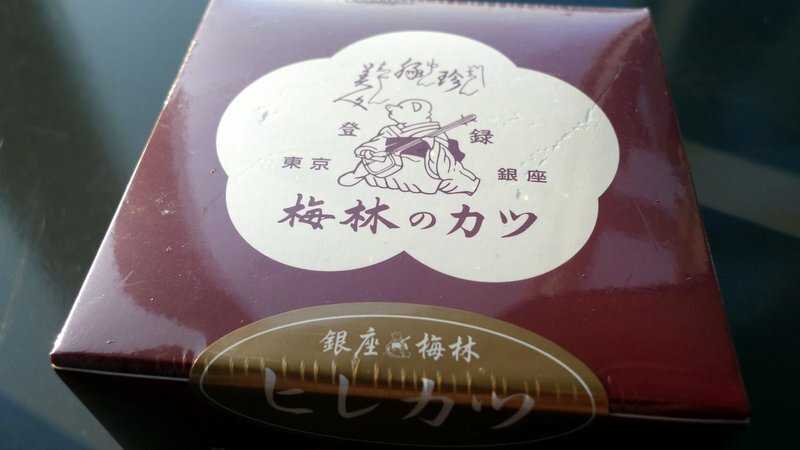 Out of Tokyo for the eight-hour flight to Seattle, I purchased the above box from the noodle shop to supplement the meal served on the flight. What was inside? 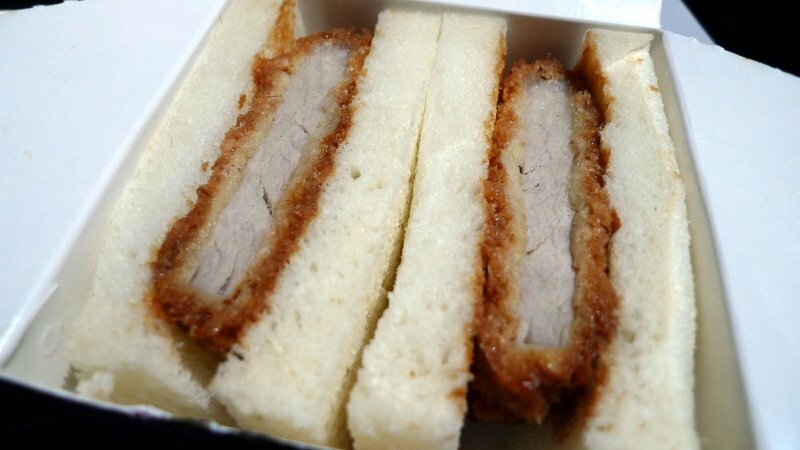 This lovely katsu (fried pork cutlet) sandwich! Oddly enough, the bread doesn’t get greasy or soggy at all, even though it sits in the box for a few hours. It was really, really satisfying to eat mid-flight. This was the meal served out of Tokyo, beef and (reconstituted) mashed potatoes with a shrimp appetizer and mixed green salad. The best thing about the meal was the coconut sponge cake. Portion size is fine and the quality was decent. Mid-flight they served a slice of banana bread as a snack. Pre-arrival to Seattle (which was early morning) there was a breakfast sandwich which was quite greasy. Arriving in Seattle for immigration and customs worked very nicely. Ours was the first flight of the day, arriving shortly after 7:30 am. There was no line at immigration and within about twenty-five minutes of landing I had my bags, was through customs, and had dropped the bags on the through-checked belt to continue to Houston. With about three hours between flights, I had time for a friend to meet me for breakfast at a nearby restaurant, which was a nice opportunity for a brief catch-up. While there, she gave me a gift she had been holding for me for many months: a pair of banneton, wicker bread proofing baskets that I had talked to her about at some point in the past. This was a funny and much-appreciated gift I will have to blog about soon. 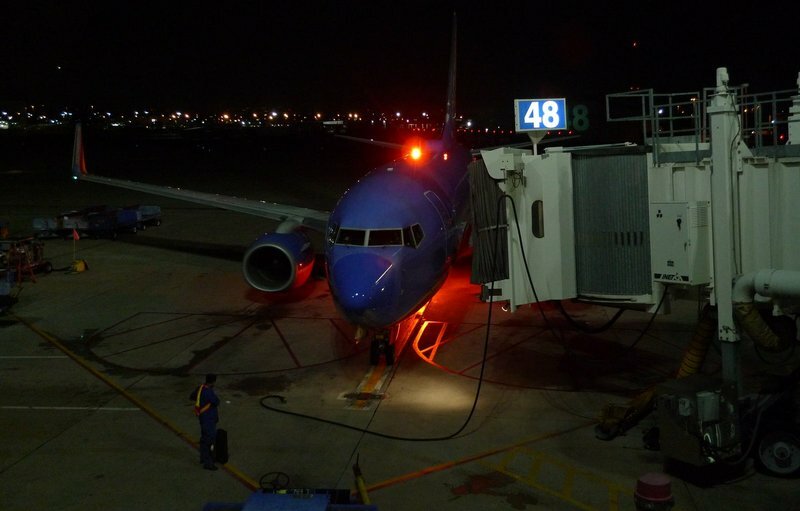 After a busy week in Houston, I flew Southwest Airlines up to Kansas City. In order to construct the least-expensive ticket I could, I routed myself on an “open jaw” ticket on Delta, flying from Bangkok to Houston and then returning from Kansas City to Bangkok. A $100 ticket on Southwest connected the open part of the jaw, resulting in about $350 savings for my employer. This also gave me the opportunity to fly out of Houston Hobby Airport, the smaller airport on the south side of downtown that is nearly monopolized by Southwest. 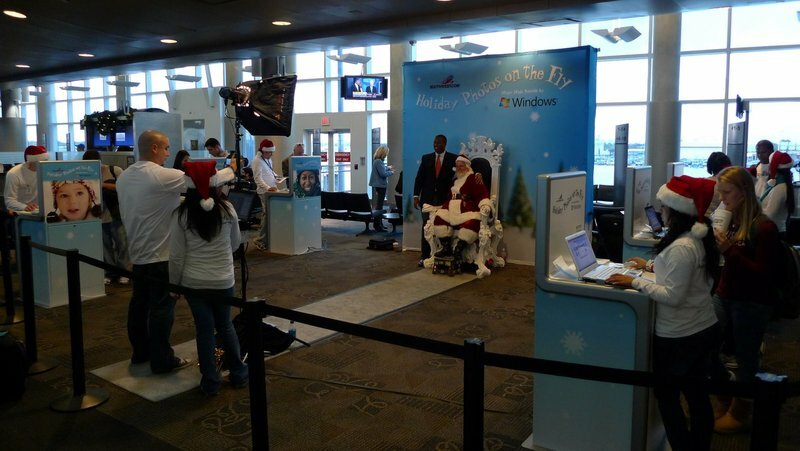 As part of a promotion with Microsoft Windows, Southwest was offering free pictures of Santa (that came with a brief demonstration of some new photo editing feature from Microsoft). These came with a coupon for $20 off your next Southwest flight (before the end of March). Of course, who could resist getting their picture taken with Santa? In fact, this picture provided useful evidence the next day when I explained to my nieces how I had managed to make it to Kansas City from Thailand. More on that tomorrow. After just 30 hours in Kansas City and an overnight inch of snow, I headed for my return trip to Bangkok. The 6:00 am flight out of KC to Salt Lake City was delayed for more than a half-hour thanks to a string of mishaps by Delta. First there was the fact that the potable water in the water trucks was frozen – no coffee or tea and no water for washing hands in the lavatory. (Thankfully they had sanitizing hand gel.) It had been below freezing all of Saturday so why they didn’t leave the heaters on overnight is a mystery to me. On top of it, the tow bar froze to the aircraft so it took them several minutes of dousing with antifreeze to get it unstuck. You would think Delta has never conducted winter operations out of Kansas City! The long and short of it is that I missed my connecting flight from Salt Lake City to Seattle. Thankfully I was rebooked on a later flight (and upgraded to first class) that got me into Seattle in time for my connection to Tokyo. However, my layover was no longer long enough to meet with my aunt and uncle for breakfast in Seattle, something I had intentionally scheduled. 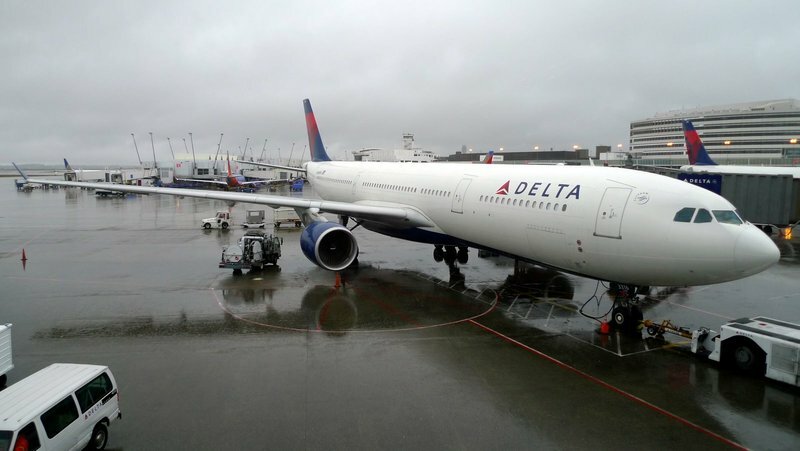 Above, the A330 for my flight at a drizzly Seattle-Tacoma International Airport. The flight from Seattle to Tokyo was ten hours long, delayed for more than a half-hour because of electrical problems at the check-in podium. In fact, the Seattle operations were a disorganized mess. On the flight itself, I was able to get a bulkhead aisle seat, ensuring that nobody would recline into my personal space, which made the flight reasonable comfortable. I slept for about five hours, waking every so often then dozing off again. The service was spotty with a crew that was generally unfriendly. One flight attendant, Jamie, had a sour lemon expression the entire flight. During the flight she handed me things (food, water, etc.) a dozen times and each time I made the effort to give her a cheery “thank you”. You see, I think it is my responsibility as a customer to initiate the friendly service I would like to receive. Not once did she say ‘thank you” or acknowledge me in any way, verbal or nonverbal. Terrible, unfriendly service. Now another flight attendant, Ann, was the complete opposite. She was cheerful and friendly, patting me on the shoulder when I declined a mid-flight treat of an ice cream sandwich (“They taste mighty good in the middle of the flight!” she advised) and laughing with other passengers throughout the service. I am going to write a letter to Delta and offer praise for Ann and a note of concern about Jamie. If even half of Delta flight attendants were as friendly as Ann, I would probably fly them regularly. The final segment, Tokyo to Bangkok, was delayed by more than an hour. I had time in Tokyo to use the public showers ($10 for thirty minutes) which makes for a nice mid-trip refresh, and also had a chance to get a bite to eat. Comparing the two adjacent concourses, United’s operation out of Tokyo is much more organized and professional than Delta’s, using better signage to explain the boarding process and has a generally more updated look to the gate areas. I landed at Suvarnabhumi Airport at 12:10 Tuesday morning. Here’s a tip to help you deal with immigration lines: there are two immigration areas at the Bangkok airport and there are monitors outside each showing what the lines at the other area look like. It is worth the walk of about 150 meters to go to the other immigration area if the queues are shorter. I ended up clearing immigration and customs in less than forty minutes, which for late night at Suvarnabhumi is quite good. Tawn picked me up and I was home and in bed by 2:30, exhausted and glad to be back. More in the next few days about the Kansas City portion of the trip. This entry was posted in Uncategorized and tagged Airlines, Airplanes, Bangkok, Delta, Houston, Kansas City, Planes, Tokyo, travel, United by christao408. Bookmark the permalink. That is one heck of a trip. I never traveled that far. The most was from the East Coast of USA to Hawaii with a stop over in LA. It was a decent flight but the food was not great – eatable but not great. I tried to sleep but of course my neighbor had to chat all the way. I guess that is good a am I good listener. 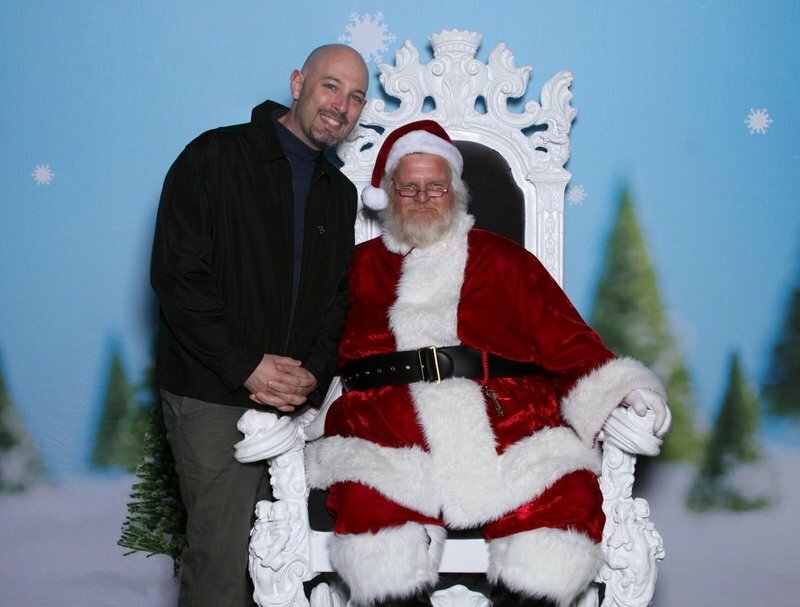 Great picture of you and Santa – I will not ask what you ask for HO HO HO. i miss those pacific a330’s. They’re former NW planes that made international travel bearable for me when I started flying NW. Glad that Santa Chris delivered the goods! 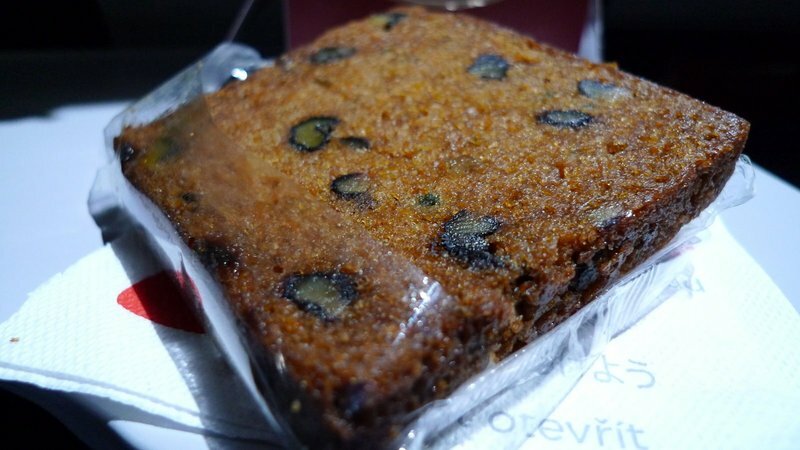 After reading your detailed account of your flight, I think the food coming out of Tokyo segment is very good. I’ll be flying on American over to Tokyo next week, I hope there’ll be no sour face flight attendants too! Chris that is quite the trip! I wish I could be as organized as you to document everything in such detail. I can appreciate all the ups and downs you described with all the travel I did this year! Thank goodness all that has stopped! @CurryPuffy – have a safe trip Gary. You will make a great reviewer for any company. You have a great eye for detail. I think the next time you see someone with the sour lemon disposition, try tickling them to see if that works. 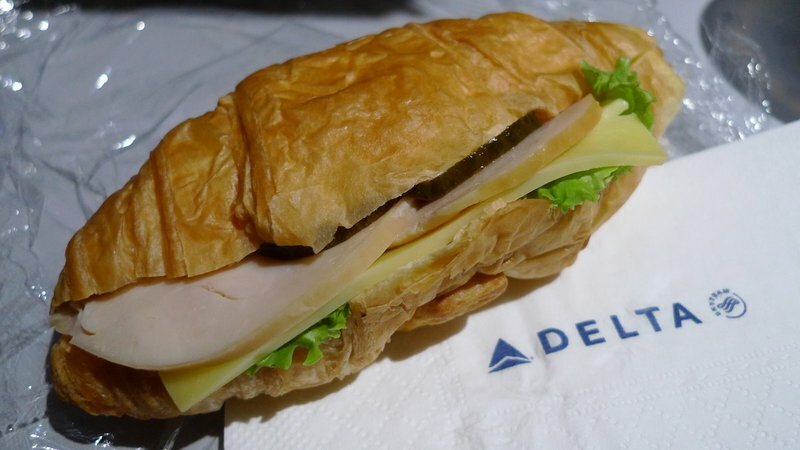 Maybe it’s the way you’ve taken the pictures, but that airline food actually looks really good! 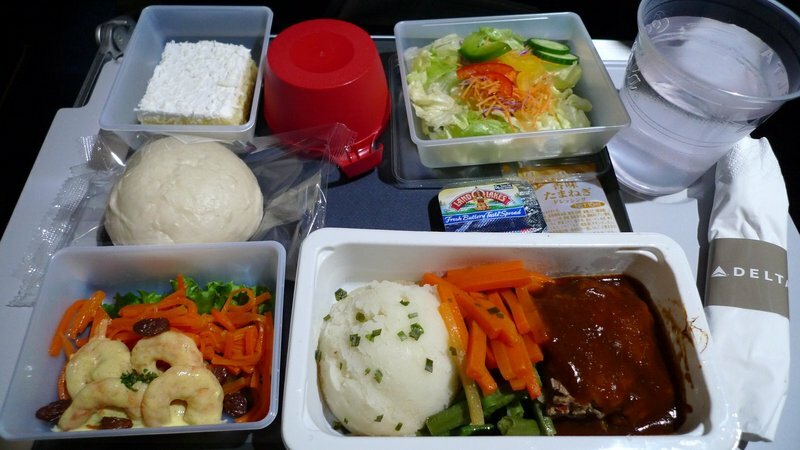 The meals look great.Didn’t know there were showers available!UA through Japan makes me GRRR…Glad you made it safe. @ElusiveWords – Hello sexual harassment! @ElusiveWords – Thank you, Matt. I hope to update you guys from Tokyo and Hong Kong in the coming weeks. Happy Holidays! @christao408 – Yes. But I hope they’ll be more friendlier at American and Cathay? I particularly like the Japanese pork sandwich. That looks fantastic. And seconded on Alex’s comment, you take awesome pictures of the airline food. WOWWWW!!!! WHAT A TRIP!!! glad you made it back home safely…ps food pix look amazing!!! who knew one can get a pic taken with santa during a transit at an airport? i must say that santa looks rather jolly. did he have on a real beard? @yang1815 – Most international airports (TPE included) have shower and hotel facilities in-terminal for transit passengers. On a long flight it is nice to have a rest and refresh. @CurryPuffy – American doesn’t have any better of a rep than UA or DL. Cathay on the other hand has a great reputation. @yang1815 – Look who is talking! LOL@bengozen – @Sinful_Sundae – DL pays me to make their food look good. Ha ha… er, no they don’t. @agmhkg – The premium econ on EVA has sort of a fixed back feature. I’ve found it works pretty well but maybe it was different from what CX was operating in their econ class. Didn’t know the kastu sandwich was from a renowned restaurant. Thought it was from that particular snack shop. That would explain why it was so good, though. @rudyhou – Totally authentic. Was very passable for a Santa. What a whirlwind trip! I can’t believe how much you traveled in comparison with your time on the ground. That’s insane! @christao408 – Hey I just talk. Matt’s actually a groper! @christao408 – Fine he’s a biter then. @christao408 – Come to think of it – yes I seem to remember I did write something. Sometimes it seems that some people are just in the wrong jobs !